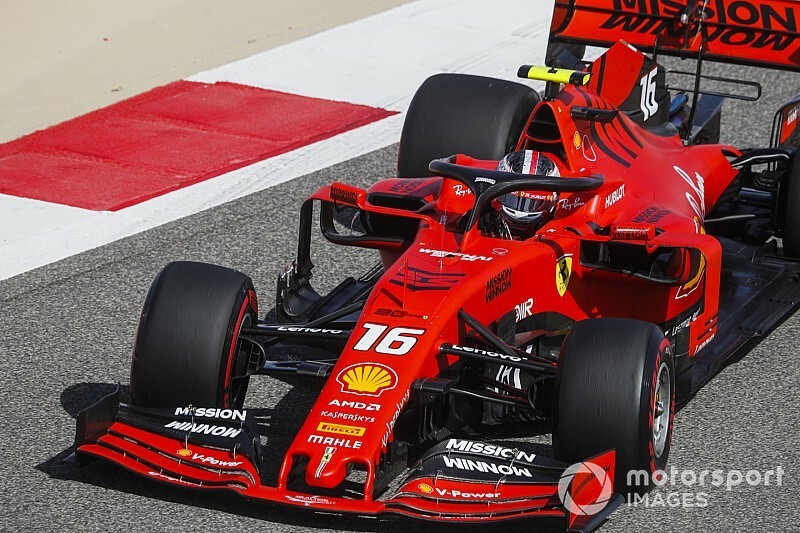 Ferrari set a scorching pace in final free practice for Formula 1's Bahrain Grand Prix, with Charles Leclerc leading Sebastian Vettel in a Scuderia one-two, seven tenths clear of Mercedes. Ferrari did its soft-tyre qualifying simulation runs earlier than its main rivals, and having been gradually shuffled back after initially leading the way, Leclerc and Vettel rose back to the top of the timesheet by setting the only laps of the session below 1m30s. Leclerc's 1m29.569s effort was the best of the session, leaving him 0.169s clear of Vettel. Mercedes drivers Lewis Hamilton and Valtteri Bottas both made last-ditch efforts to displace the red cars, but Bottas ran wide at the final corner and ended up fourth, eight tenths down on Leclerc, while Hamilton was only slightly faster, finishing up on a 1m30.334s best, 0.765s down on Leclerc. Max Verstappen led the way after the initial running, being the first driver in the session to dip below 1m31s, but the Red Bull-Honda finished FP3 only eighth fastest, 1.390s off the pace, after failing to improve on his final run. Red Bull struggled to switch the soft tyres on for flying laps in FP2 and Verstappen's teammate Pierre Gasly struggled for speed again in FP3, ending up only 12th. Late improvements from Romain Grosjean's Haas, Nico Hulkenberg's Renault and the McLaren of Lando Norris, who only made one run on soft tyres, vaulted them ahead of Verstappen and into the gap behind Ferrari and Mercedes. The second McLaren of Carlos Sainz and Daniil Kvyat's Toro Rosso, which briefly topped the times early on, rounded out the top 10, just ahead of Kimi Raikkonen's Alfa Romeo-Ferrari. 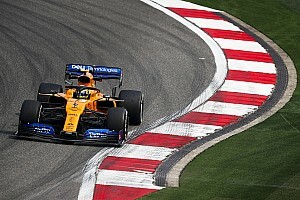 Daniel Ricciardo has admitted lacking confidence in his Renault and he again struggled, ending up only 16th fastest, more than seven tenths down on teammate Hulkenberg and behind the Haas of Kevin Magnussen and Racing Point pair Lance Stroll and Sergio Perez. 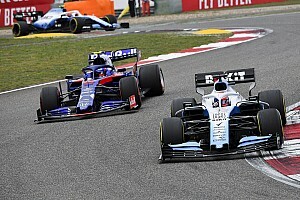 Williams again brought up the rear of the field, nearly 1.3s behind the 18th placed Alfa of Antonio Giovinazzi, but Robert Kubica improved to finish this session just 0.138s behind teammate George Russell.